I’ve just received a fax. Please fax me the reply. Please send this fax and charge it to my room. 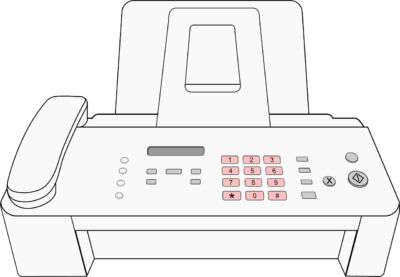 Put the paper in the fax machine and dial the fax number. Send the fax to her as soon as possible. The fax arrived in the early afternoon of March 5. The fax machine is broken. This letter was faxed by Mr. Brown yesterday. Would you keep an eye out for his fax? You had better send this fax as soon as possible.